Quality servicing in Radcliffe at highly competitive rates. If you are still going to the dealer for car service, despite the high costs and inconvenience, you are not alone. There are cheaper garages, but you are probably not comfortable with them. Yes, with many small garages, you can't really be sure about the quality. You may also dislike the thought of dealing with a garage where you are unsure about the type of spares used or the expertise of the mechanics. Finding the best garage for car service in Radcliffe is not as difficult as you think. We make things easy for you. We have identified the garages that provide high-quality service at reasonable prices. 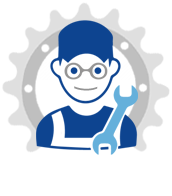 Our network garages use only quality spares and have the right equipment and trained mechanics. There is no need to negotiate because the rates for standard services are fixed. Booking a service is easy and takes only a couple of minutes. Just complete the online form on this page and we will assign your car to the nearest network garage specialising in your vehicle brand. They will call you to confirm the time and location for picking up your vehicle. You can conveniently have the vehicle picked up from your home or office. It will be returned to your after service. There is no need to visit the garage. You will know the cost of the service upfront. 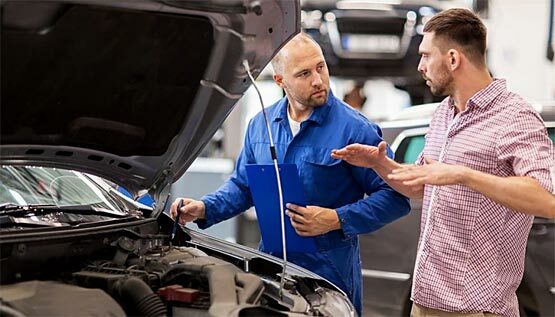 Once you car is checked at the garage, the technician will call you to explain the nature of service required and for any additional approvals. If there is any additional work required, they will give you the details and the additional cost. Additional work is always done only after getting your consent and approval. After service, the garage will return the car as agreed and you can settle the bill using PayPal or your credit card. This way, there is no need to disrupt your daily routine for getting your car serviced. All the prices are fixed and agreed in advance and your bill will be as expected. You get the best quality service at the best price. Regular servicing is the best way to ensure that your car or van runs smoothly and continues to perform like a new vehicle. It is also essential for safety and improves the chances of a smooth MOT test. Our network garages go by the service schedule specified by the manufacturer, which is available in your service manual. 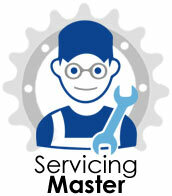 Your car may be due for minor, interim or major service depending on age and usage. Regulations in the UK also require that you obtain an MOT certificate every year. The MOT test ensures that your vehicle meets the minimum required standards and is roadworthy. We undertake all types of car and van servicing and perform MOT tests as well. Cleaning the diesel particulate filter: If your car or van has a diesel engine, it will have a diesel particulate filter. It filters soot and other particles from the vehicle exhaust and reduces emissions. Over time, the trapped soot accumulates and must be removed or burnt to keep the filter functional. Gearbox repairs: A malfunctioning gearbox results in a total breakdown or a frustrating driving experience. Gearbox repairs are sometimes complicated, but we have the expertise to perform them. Steering and suspension: The steering and suspension of your car has to work well for good control, stability and ride comfort. Over time, these components tend to wear out and may need repairs. For van or car servicing in Radcliffe, look no further. We give you an easy and convenient alternative to the dealer garage. Just complete and submit the booking form and we will take care of the rest. You will get high-quality service without any hassles. Book your service now to get easy and convenient car servicing at competitive prices.